1. 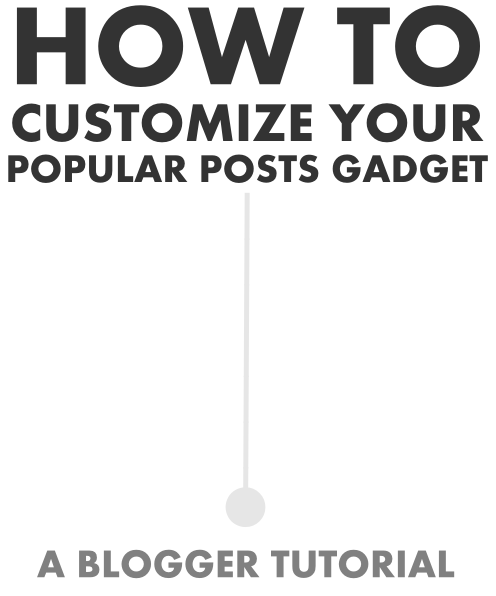 Select the blog you'd like to add the popular posts gadget to. 2. Head to layout and add the gadget to your blog. 3. Click and drag the gadget so that it is in the footer area (the bottom) of your blog. Make sure to click "Save arrangement". 4. Open up the gadget and make sure the option under "Most Viewed" is on your selected preference. 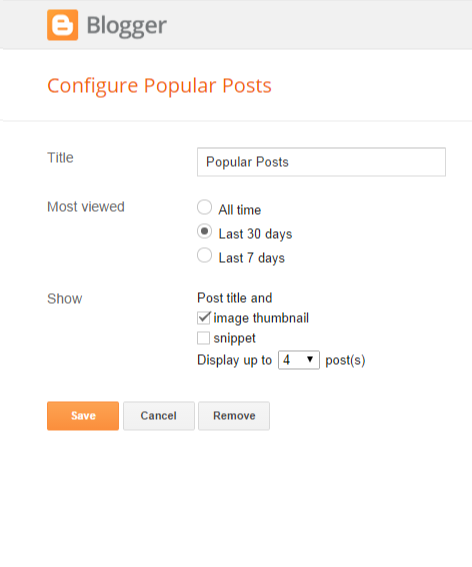 Check the box "image thumbnail" and uncheck "snippet". Then make sure you are displaying up to 4 photos (see photo below). 5. Now go to Template >> Customize >> Add CSS and in the box, add the CSS codes from below. Red: change the roundness of the photo. Orange: Change or remove the border around the posts. Green: Change the width and height of each of the separate posts - play with this to fit the gadget into the bottom of your blog. Thank you so much for making this tutorial Nicole! It was super simple to follow and now I have a lovely popular posts gadget! I didn't have one previously because I didn't like the look of the standard blogger popular posts gadget. Also, I'm just wondering if you could tell me how you got those beautiful share buttons at the bottom of all your posts. They are wonderful!